Ronald F. Wysocki, 63, of Briarwood Lane in Port Washington died January 11, 2011 at Horizon Hospice Inpatient Unit in Mequon, Wisconsin of Pancreatic Cancer. He was born March 9, 1947 in Milwaukee Wisconsin to Frank and Genevieve Mendyk Wysocki. He grew up in Milwaukee and Graduated from Messmer High School. He began working for the United States Postal Service in Milwaukee in 1966 as a letter carrier and retired in 2002. Ronald married Theresa “Terry” Heil of Marathon, Wisconsin on October 3, 1970 in Marathon. They lived in Milwaukee until 1979 when the moved to the Briarwood Lane home they built in Port Washington, Wisconsin. He was a former member of the Port Washington Lions Club, enjoyed hunting, sports and was on many softball teams and in various sport clubs. He enjoyed reading and took an interest war history because his father received the Purple Heart during World War Two. He enjoyed going to the American Legion and listening to the many stories and helping out where he could. Ron was a friendly guy who could draw people out of their shells. He was a dear friend of the late George Decker, who he called Dad, even though they were not related. Ronald’s passion was fishing and he was an official fish scout. He deemed himself the fishing guide for his buddies who were still working after he retired. He liked to smoke his catches and share them with the guys at work or the American Legion. He always made sure to save a “George Fish”, the perfect size for his friend George. Many a day was spent in the basement with his buddies, creating fishing lures, cussing up a storm and telling fishing stories. He will be missed. He is survived by his wife Terry, brother Richard (Darlene) Wysocki of Milwaukee and sisters Diane (Eric) Rehm and Barbara (Bernie) Bross. Further survived by his mother-in-law Rosina Heil, 10 siblings-in-law, many nieces, nephews, other relatives and many friends. He is preceded in death by his parents. 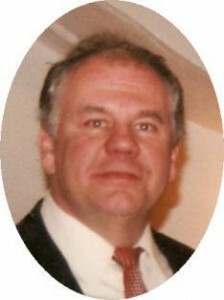 Memorial services will be held Saturday, January 15, 2011 at 12:30 pm at the funeral home. Visitation 11 am – 12:30 pm Saturday.